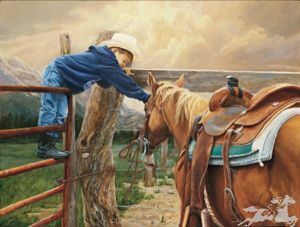 All this little guy is asking for is a CHANCE - a chance to ride this horse and show what he can do. Of course, little boys have no fear and lots of dreams - big dreams. And right now all his hopes are that this one dream comes true. If it does, it will be the biggest day of his little life!